We are part of an international, evangelical missions organisation (a registered charity), working in over 50 countries. We have a wide selection of Christian books, Gifts, Cards, Sunday School materials, Music and DVDs, but our main focus is the Bible; we have many different versions of the Bible available, in various sizes and colours, even in different languages. 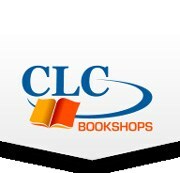 Proceeds from sales support the worldwide ministry of CLC especially in countries where Christian books are not readily available.